Takes offence when asked to move on. A Manchester United YouTuber had his live broadcast interrupted by a man walking along the beach he was sitting on, who ended up shouting obscenities at him. 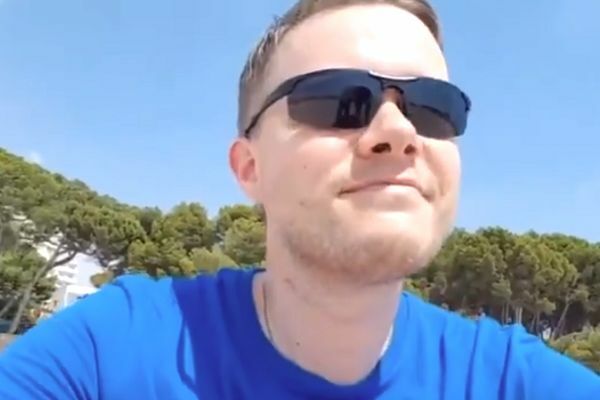 Mark Goldbridge from The United Stand, apparently ‘Manchester United’s Biggest Unofficial Independent Fan Channel’, was presenting one of his live streams whilst on holiday in Spain. Goldbridge, a controversial figure among supporters of the club, initially appears to be offered something for sale. Aware of the seller approaching, he quickly declines. But the unseen interloper then seems to take offence when asked to move on and calls the Brit a series of rude names in a thick accent.